I knit my first Habitat in 2009. 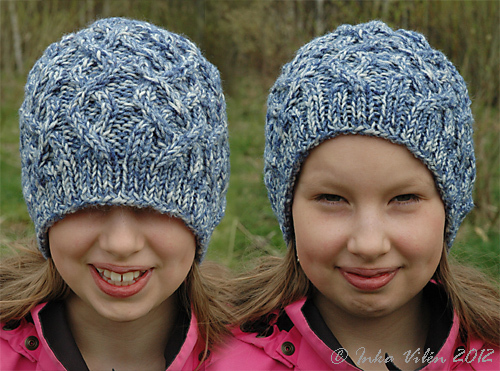 I enjoyed the pattern that required a bit of concentration, and thought that it might be fun to knit another one. So I casted on my second Habitat in the end of 2009. Unfortunately, I had not enough time to knit it, and after a lengthy break in knitting and messing up several rows of the pattern, I grew tired of the project. So it ended up in my ever-growing pile of ufos. This spring, I was participating a school field camp as a supervisor. I assumed that I’d have plenty of time for knitting, so I filled up my suitcase with yarn and ufos and patterns – and a couple of good books. Once I got the hang of it, the pattern was once again lovely to knit. So I knit and read and knit and read. The project took up 110 grams of yarn (Novita Saana, 100% wool, needles 4.5 mm and 5 mm), and it turned out significantly bigger than my first Habitat. A bit oversized, perhaps. But not badlooking the way it is – at least if one wears it on the forehead and not over the eyes. 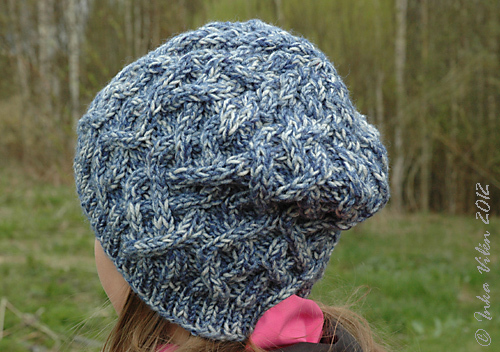 This entry was posted in finished, yarn work and tagged beanie, knitting by Inka. Bookmark the permalink.